There is no reason why litigants could not access the courts on their smartphones in the future, the Lord Chief Justice said yesterday, although he questioned the extent to which artificial intelligence would handle judicial tasks. Lord Burnett said that when large numbers of people, “and particularly those on low incomes”, do not have effective access to justice, the law could not ignore the digital revolution. 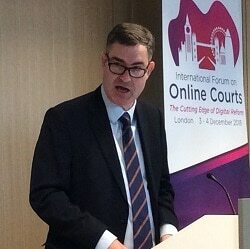 In an opening address to a ground-breaking international forum on online courts – organised in London yesterday by HM Courts and Tribunals Service and the Society for Computers and Law – he said litigants with small claims wanted and expected a swift and inexpensive answer. Lord Burnett argued that the justice system had to be prepared for what might appear to be radical change, but could soon become the norm. He cited the 2017 book Digital Justice, which postulated the building of a ‘smartphone court’. “But why not? There is no reason why our forms, processes, and perhaps even some hearings should not be optimised for smartphones giving litigants effective access to justice from the palm of their hand. Lord Burnett said he expected the process of digitalisation to move into the next stage of online facilitation and evaluation in some areas. He acknowledged that there would have to be a debate about the greater use of AI during the judicial processes. 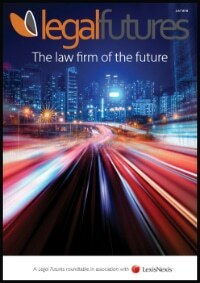 “AI is developing in the world of legal advice. It will be able to give a preliminary indication of the legal merits of a claim. There is every reason to suppose that it will develop to be useful in giving indicative decisions and maybe help facilitate early settlement. “There are those who suggest that AI, buttressed with careful safeguards, could perform some, if not all judicial functions. 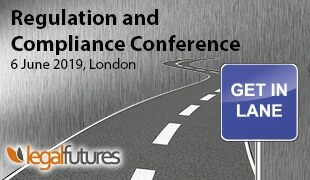 In his speech to the forum, Lord Chancellor David Gauke said technology was a way simplify, streamline, and put the citizen in the driving seat of the justice system. “This will allow us to open up our justice system, make it more accessible, and put power back into the hands of the people using it, including simpler, faster routes to resolving disputes that are clear and easy to use – recognising that people often want their problem solved rapidly and satisfactorily more than they want their ‘day in court’. 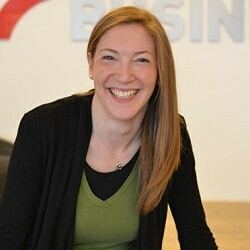 “It will remove the unnecessary costs of complexity, duplication, error and waste – so that people are not priced out of justice and – for example – that lawyers are paid and used for their legal advice and skill, not simply to navigate the system”. With easily accessible data and information, he added “everyone can make informed decisions, and we can harness the power of big data in support of justice”. The forum is co-chaired by legal technology guru and Society of Computers and Law president Professor Richard Susskind, who told the delegates from more than 20 jurisdictions that figures showed how more people now have access to the internet (more than 50%), than access to justice – 43%, according to the OECD.